I am enjoying my once a year trip to Sydney to indulge in Tai Chi for a week, see a show or two at the Sydney Festival and visit the Galleries. Three stand out events this year, one of which was unexpected. I am not a huge fan of Francis Bacon, but figured it would be part of my "arts education" to go to the exhibition at the Art Gallery of NSW. 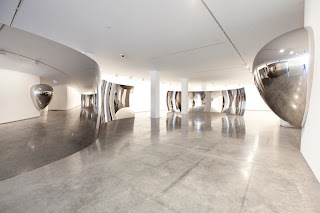 I took a tour so that I got more insights into his work, and was completely bowled over by the man's work and his thinking, attitude, history, intention ... his work is certainly not something I would want in my lounge room but he is an amazing artist, quite amazing. 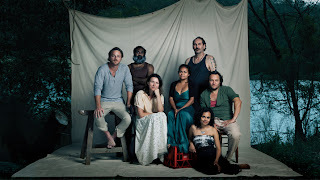 Then I went to see the Secret River by Kate Grenville by the Sydney Theatre Company, which is one of the most powerful and disturbing plays I have ever seen. 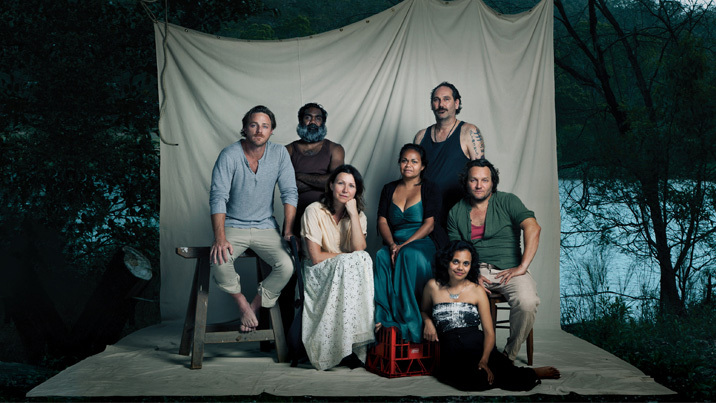 Early settlers meet indigenous Australians on the Hawksbury River, which tackles the complexity, miscommunication, harmony and conflict all in one play. I read the book a while ago and enjoyed it, and I just heard there is a sequel which I will be reading soon. Yesterday it was Anish Kapoor and the MCA, whose work I love. He is such an inspiration with his conceptual ideas, textures and forms. The slow wax sculpture of deep red landscape formed by a slow moving clock machine is just astounding, his mirrors are bemusing and engaging (made me think of the hall of mirrors that my father used to take me to), and his completely matt surfaces that reflect nothing and mislead the eye and perception are incredible - now I wonder if I can achieve that effect in ceramic? Our Tai Chi has been so good with the wonderful Julie King as our teacher, and I now know so much more about the 24 forms, and I think (hope) my practice is much improved. Together with some very yummy food, this short holiday is already one of the highlights of my year. But I can't wait to get home and start some new glaze testing now the Christmas rush for tourist work is over. And of course Floating Land is starting to take shape - now I'd better post something about that next week. I hope 2013 is a creative, happy, healthy and prosperous year for my blog readers.